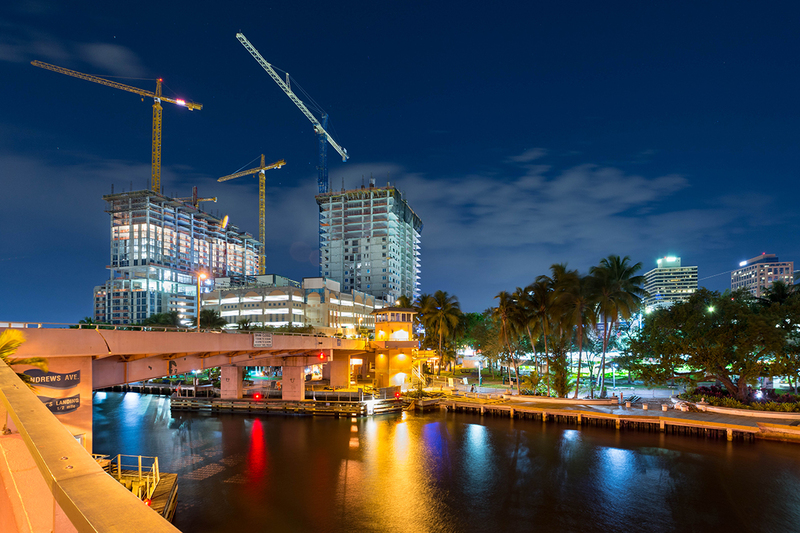 Cranes continue to be a familiar sight on the Fort Lauderdale skyline as new projects go up. What’s interesting? Let’s take a pictorial tour of a handful of the hottest new developments in town. Address: 301 SW First Ave.
X Las Olas is what we mean when we talk about projects that make downtown feel more and more like the big-city downtown it has become. 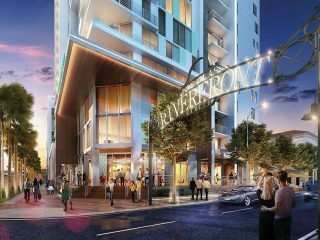 Rising on the site of the old Riverfront outdoor shopping and dining complex, this new development will also offer ground-floor shopping, dining and entertainment options. The difference happens when you look up. Above the going-out options will be two apartment towers with 1,200 residential units. 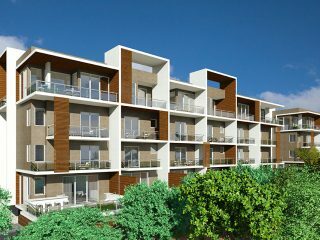 They will include studios, one-bedroom units and two-to-four-bedroom suites. A gym, communal kitchens, co-working spaces, dog runs and lots of bicycle storage will add to the urban lifestyle checklist. Address: 100 E Las Olas Blvd. 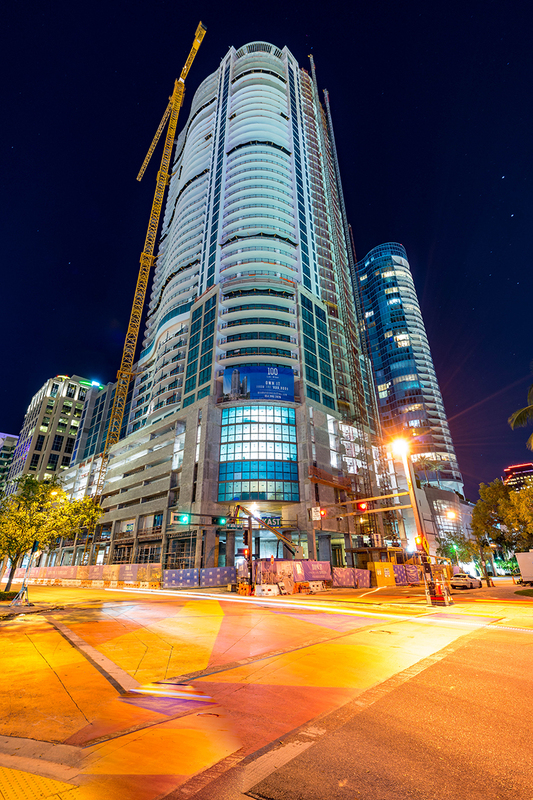 The tallest building in Fort Lauderdale (499 feet, if you’re counting). More than 100 private residences with floor plans ranging from 1,501 to 3,873 square feet. A Hyatt Centric Hotel. A two-story, $6m penthouse. 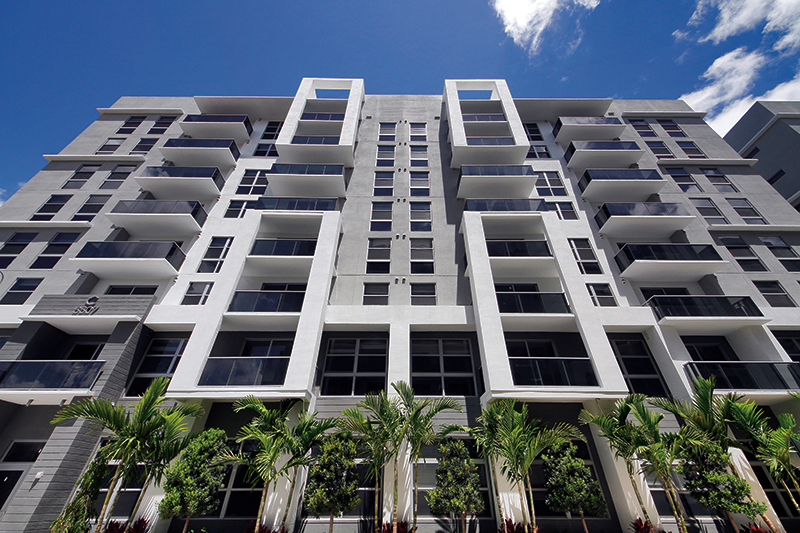 100 Las Olas is very much a go-big-or-go-home kind of project. Its 113 luxury condos and 238 hotel rooms will both aim squarely at the luxury market. But this not-quite-500 feet of new build isn’t just for tourists who prefer the Hyatt Centric to the beach or locals who can afford $800,000 and up for a condo. 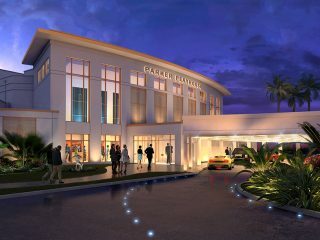 There are also plans for a ground-floor lobby bar, restaurant and retail. 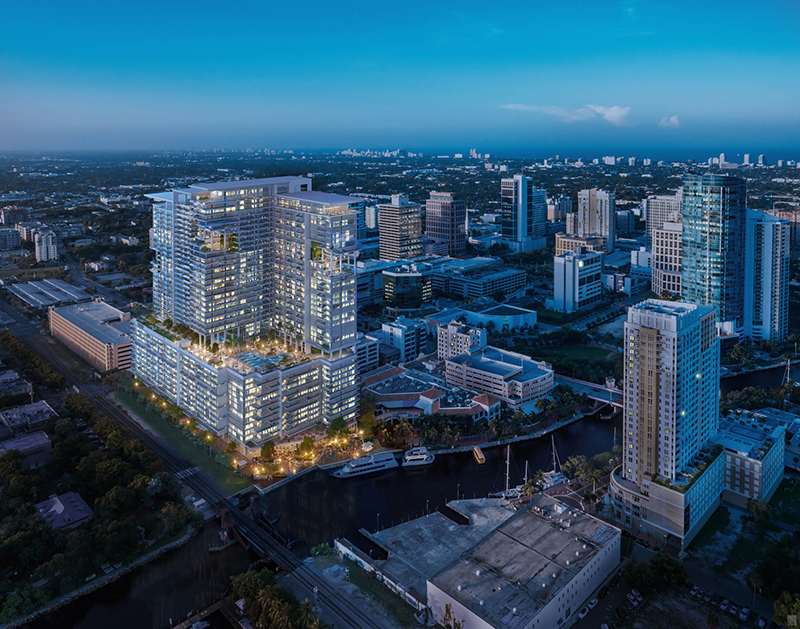 With more than 8,000 square feet of space given over to those purposes, including a first-floor outdoor terrace, this is another development giving the downtown section of Las Olas the kind of shopping-and-dining options that the street has always had east of Federal. 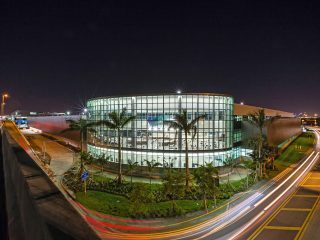 Address: 299 N Federal Hwy. 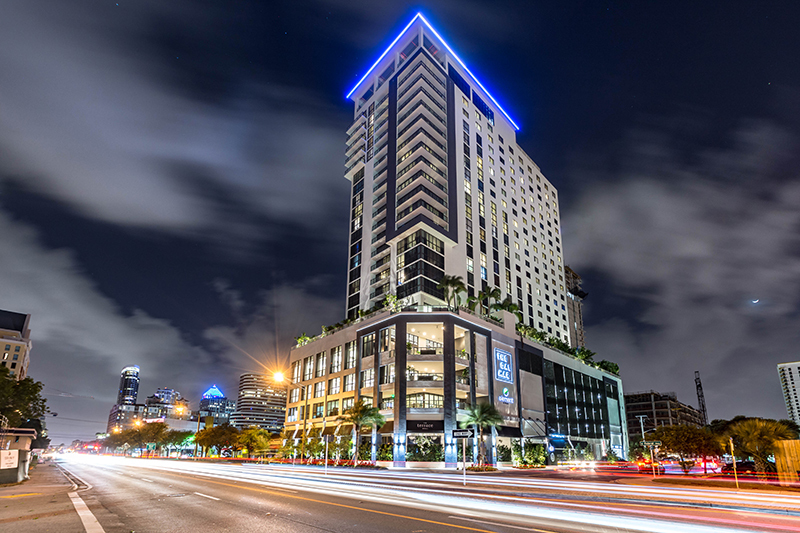 The Dalmar’s one of the most talked-about of the new hotels coming into the downtown area and making Fort Lauderdale’s hospitality sector a little less beach-dominant. 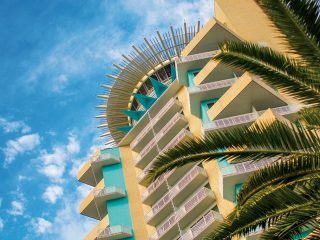 Sitting on the edge of Flagler Village, The Dalmar – it’s actually two hotels; part of it is extended-stay sister hotel The Element – is all about the urban cool. And it won’t just be for the tourists staying there. Stylishly retro-themed rooftop bar Sparrow (opening later this year), restaurant The Terrace Grill, Rose’s Coffee Bar and the Lobby Bar aim to add to Flagler Village’s increasingly walkable, urban atmosphere. The downtown hotel boom is happening in a big way, and The Dalmar looks to be a big, cool part of it. The beach isn’t the only place where waterfront living is being redefined. 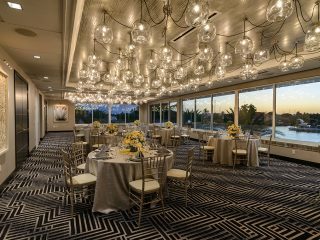 Since it was completed in 2017, Modera Port Royale has been at the fore of a new kind of Intracoastal waterfront living. The place offers options, including smaller studios to go with more traditional one-, two- and three-bedroom apartments. There’s a massive pool (“hotel-inspired,” they call it) and outdoor spaces with architectural and artistic flourishes. 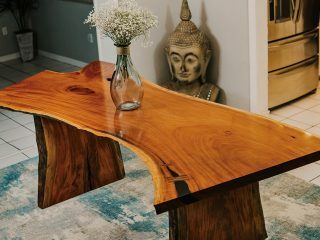 It’s got spaces for working, spaces for barbecuing, spaces for Pilates. It all adds up to a not-your-grandparents, Intracoastal-living experience. Where’s the next hot development going? We’ve got one idea. 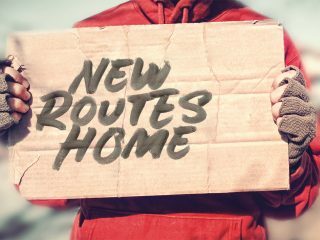 We know what the hottest and most interesting properties being built right now are. But what about looking a few years in the future? Well, if the price tag on a piece of oceanfront land is any indication, we’ve got one idea about where some cool-looking real estate is going to be going up. March saw the priciest land sale on Fort Lauderdale Beach in nearly two decades. An 18,272-square-foot lot at 2812 N Atlantic Blvd. sold for $12.6m by Julie Jones-Bernard of Florida Luxurious Properties. That’s the number 12, the number six and then five zeroes. For land.